Same with your skin, your scalp and hair go through several transitions as you age, so it's important to take care of them as much as you do the rest of your body. In the launch of Cream Silk's Triple Keratin Rescue line, celebrity hair professional Lourd Ramos shared tips on how you can deal with issues like hair fall, and what you can do to maintain healthy hair growth. 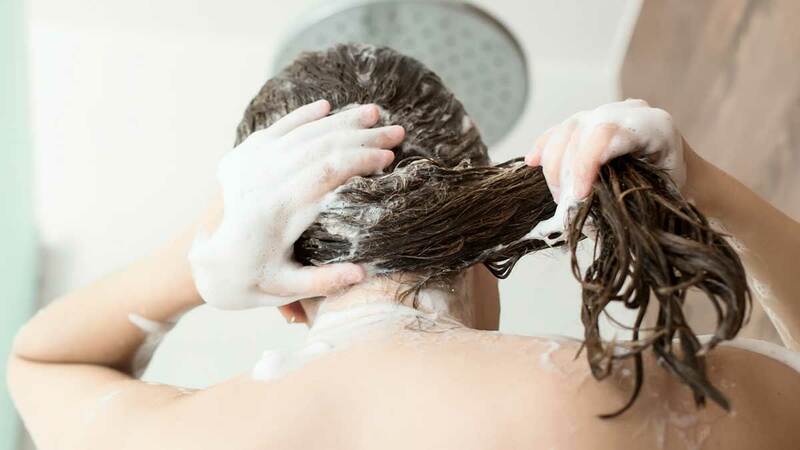 "It's a myth that you [should only] shampoo every other day," explained Lourd. "We need to shower every day because of the free radicals...especially women who are working. The sweat, the pollution, the things that we eat, and everything, so basically, you need to cleanse, tone, and moisturize your scalp and hair at the same time." "Avoid hot water when taking a shower." Sure, hot water may feel good after a long day, but it's a no-no for the skin on your head. "Because the thing that happens is you burn the scalp," he emphasized. In case you didn't know, your scalp also needs to have the right pH level to stay healthy, so best take in consideration how you cleanse it. "When you burn the scalp, it becomes unbalanced. [It's] pH level...should be 5.5, but it becomes 4, 1, or 0. Then it becomes allergic, then it becomes sensitive, then you lose a lot of oil, then suddenly, your hair falls... If it's possible, [go] luke-warm, [then] finish with cool water." Unless of course, it says on the packaging that it's a leave-in product. "You have to rinse it properly with cooler water...because when you rinse the conditioner with hot water, then you basically take out the nutrients that you put in." You should also check the kind of conditioner you're getting. "There are two kinds of conditioner: one is for [the] scalp, one is basically for the hair. [If it's for the hair] you have to start lathering the conditioner from the shaft going downwards. If it's a conditioner intentionally for the scalp, then you have to start the application of the conditioner from the scalp." Make sure to get enough keratin. Of course, you shouldn't only nourish your hair and scalp on the outside. You also need to do right by your body from the inside if you want to keep your tresses lush. As Lourd said, "Eat healthy... and exercise. When you sweat with proper exercise, it produces, estrogen and androgen for the scalp and the hair. You [should also] take a lot of vitamin C instead of vitamin E, because vitamin C neutralizes your skin and your hair." TIP: You need to brush your hair gently. It's also best not to do so when it's super wet. You should work your way from your tips to your roots so that you can work out the knots at the ends first before you go for full strokes.